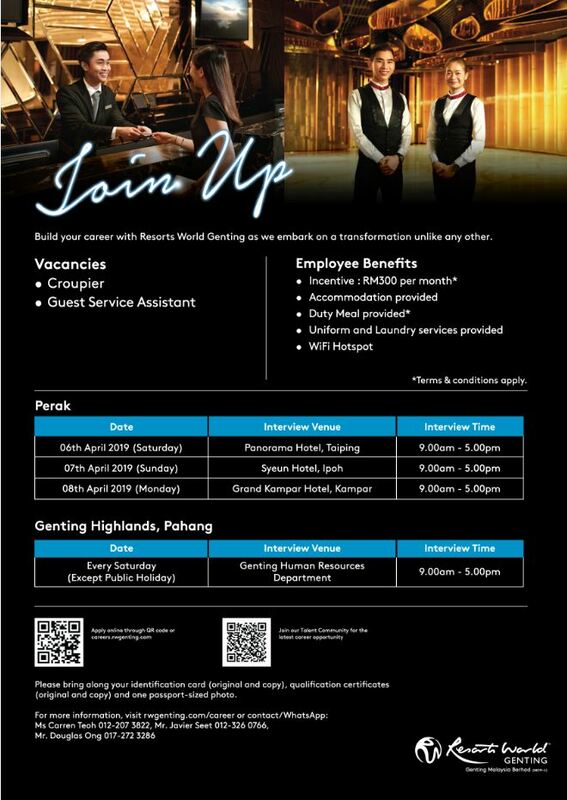 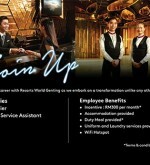 Build your career with Resorts World Genting as we embark on a transformation unlike any other. 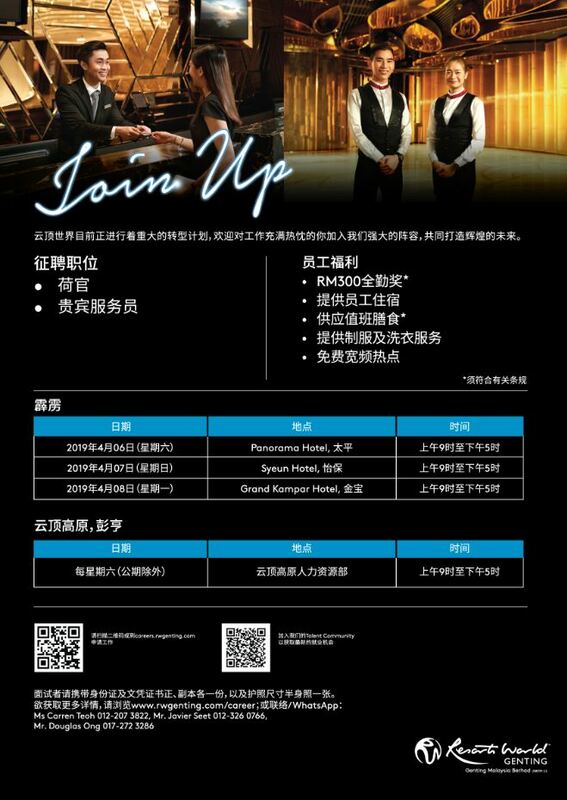 Come and interview at the location below! 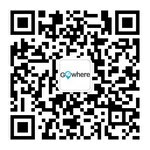 Please bring along your identification card (original and copy), qualification certificates (original and copy) and one passport-size photo.